Investing in real estate properties involves a significant amount of knowledge and decisions that must meet your financial goals for the near and distant future. Being able to tell the difference between what is real and what is a myth will not only help you invest smarter, but also better understand the industry and give you the chance of making a larger profit. Being misinformed about something that you plan on investing in is worse than gambling with your money. When it comes to mortgages, even a small mistake can cost you tens of thousands of dollars, so having the proper knowledge is more important than ever (Read: Mortgage Counseling Services You Need). 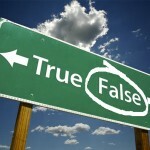 The mortgage industry is not the only one that is plagued by myths. Myths have a way of propagating themselves very quickly and not going away that quickly. The only way of finding out the truth, is through a little research or by seeking the help of a professional mortgage counselor. Misleading advertising tactics are part responsible for the spreading of these myths. Many borrowers truly believe lender advertisements which promise the best interest rates to absolutely everyone, or charge the same fees and closing costs. Understanding the most common mortgage myths can help you prepare better, have a quicker and painless experience, and eventually reap the rewards of your investment. Taking out a mortgage loan can be a difficult process if you don’t have a good understanding of how things work, from the moment that you apply for a mortgage, to the moment that you pay the closing costs and start making your monthly mortgage payments. Throw a few myths in the mix, and you can become discouraged and change your mind, or become overly confident and make mistakes that will cost you, on the spot or in the near future. This is a top list of common mortgage myths, myths that can be quickly debunked by researching the basics of taking out a mortgage. Unfortunately, many borrowers and beginner investors are in a situation where they need to act quickly, or are simply careless, and end up spending more than they planned, lose opportunities, or have financial trouble later on (Read: Watch Out! Protect Yourself From Homeowner Scams). Here are the top 6 most common mortgage myths and what you need to know about them. Based on your declared income and debt, pre-qualification allows you to find out how much money you can borrow. Pre-qualification makes it easier to find a home because you are aware of what your price range is. However, being pre-qualified doesn’t necessarily mean that you will be approved for the mortgage loan. Pre-qualification is based on what you declare you make and owe, so your lender will need documentation that backs up your claims. Being pre-approved when the time comes to make an offer on a home carries a lot more weight than being pre-qualified, because it means that your lender has already seen the necessary documents regarding your income, debt and credit, and they are willing to give you the loan without much more verification. A pre-approval document will make you look more serious in the eyes of a seller, and might give you the upper hand over someone who is only pre-qualified. To learn more about this click here. Putting down 20 percent may have been the only way to buy a home in the past, and the most common way in the present, but there are other options out there. The 20 percent will ensure that you won’t be required to pay for Private Mortgage Insurance, but that doesn’t mean you cannot put down less than that. Some borrowers may even qualify for a mortgage loan insured by the Federal Housing Administration (FHA), which will allow them to make a lower down payment, as little as 3.5 percent. Also, loans offered to current and past military personnel offered by the Department of Veterans Affairs (VA) do not require a down payment. There are other options out there, but most have stricter qualification requirements, so just keep in mind that you can make a lower than 20 percent down payment on a traditional mortgage, as long as you agree to pay a Private Mortgage Insurance for a period of time. The truth is that your income has an influence over how much money you will be able to take out on a mortgage loan, but it is closely related to how much debt you have. Lenders will take a close look at your debt to income ratio, so having a large income means nothing if you also have large debt, making your debt-to-income ratio unfavorable. Lenders usually prefer that a borrower spend no more than 28 percent of his or her gross income on housing expenses, and no more than 36 percent on his or her total debt. Borrowers who are self-employed will have a harder time getting a big mortgage even if their income is large, because lenders consider their income less stable than the income of a person with an employer. It is true that you risk paying more on an adjustable-rate mortgage because the interest might increase after a while, but the interest might also decrease, making an adjustable-rate cheaper than a fixed-rate mortgage. Also, you might plan on not living in a home for a long while, which makes adjustable-rate mortgages better than fixed-rate ones. Adjustable-rate mortgages have a fixed-rate period in the beginning. The fixed-rate on an adjustable-rate mortgage will most likely be lower than the interest on a 30-year fixed-rate mortgage, for example, making it ideal for those who move a lot (Read: Even With Fixed-Rate Mortgages So Low, Don’t Overlook Adjustable Rates!). Most of the time, the interest rate advertised by the lender on TV, online and in newspapers is reserved for those borrowers who have a perfect credit score, a great debt-to-income ratio and put down a large down payment. The interest rate is influenced by all these factors, plus the term of your mortgage, the points purchased and locking in your rate. You could probably read all that in the fine print of the advertisement, but most people don’t and are surprised when they find out that they don’t meet the requirement for receiving the advertised interest rate. Usually, when something sounds too good to be true, it probably is. Some lenders will quote you a great interest rate and great terms for your mortgage loan, making it look like the best one that you have found. Then, after you have already started to spend time and money, everything becomes more expensive. Sometimes lenders do this illegally, but most find ways to do it legally, usually by not giving you a quote in writing, or by hiding behind the fine print. A well-known lender will probably like to avoid the bad press that this will generate, but you should always ask for things in writing before choosing a lender. Click here to read more about this. Mortgage myths can be found in every aspect of taking out a loan, and some might make you think that you are not ready to buy a home, while others will actually cause you to spend more than you originally planned. The only way to invest your money smarter is to document yourself in order to make sure that you are in full control of everything that is involved in buying a home.